In the morning when you wake up (or whatever time it is when you get up), it can sometimes be a real pain to get up and take that first step. 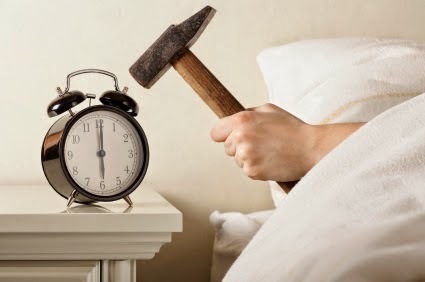 Many mornings where we hit the snooze button multiple times wake up at last minute and arrive to work late. There is more going on here physiologically than simple things like not getting enough sleep. With the right attitude and a little practice you can wake up better and faster every single day! Actually, sleep doesn’t play that big of a role in the amount of time it takes us to wake up and get out of bed. Some people get 5hrs sleep and go to work on time, but some others get 9hrs sleep and go 30 minutes late to work. If it’s not the amount of sleep you get, then what could be causing you to be slow getting up? The answer is motivation. Motivation is your reason for doing everything you do. If you literally had zero motivation you probably wouldn’t even get up at all. Motivation doesn’t start when you first wake up either. Studies show that you mood in the morning is a continuance of the mood you were in when you went to sleep the night before. This is a great place to start in order to get yourself out of bed and moving through your day quicker. So Where Do I Start To Get Moving Faster In The Morning? First start the night before (or whenever you designated sleep time is) by making sure you are in the best possible mindset right before you fall asleep. Take a shower or bath right before bed. Get your clothes ready the night before so you can streamline your morning. Unwind before you try falling asleep. Develop an exercise routine before bed. Read or listen to something positive. Plan your next day out with your mind, so you know the plan of action. Find something you look forward to in your next day. It could just be whatever time you go home or it might be lunch break. After you get yourself together the night before make sure you get the right amount of sleep for your upcoming day. Some people may require 5 hours and others 8. You know your body and how much rest it will take to get you ready for your upcoming day. The amount of rest isn’t as important as the quality. Make sure you have clean sheets on your bed and it’s made. Invest in a better pillow; it’s worth your money. Also make sure you fall asleep within 15 minutes. If you don’t you might want to get up and do a before bed exercise or maybe take a soothing bath with lavender. A good idea would be to get a before bed routine. next several hours. This is a crucial part of your morning. The best way to handle this is to jump right out of bed and get moving. Tell yourself if you just keep moving it will get easier every minute. Remember your motivations. Just think the faster you get moving the sooner it will be time to come home and relax. Think about the things you enjoy about your work. Affirm things that you lined up the before you went to bed. Try to recapture your mindset from before sleep. Whatever you do stay positive. It will only make the morning go better. The first few minutes of time when you get up are critical to the rest of your day. Get up mad and cranky and guess what? The rest of your day will probably follow right behind. Spend the time to master waking up and you won’t regret it.